The NEXTFLEX® Rapid Pre-Capture Combo Kit is a complete low-input library prep solution designed for DNA library preparation, multiplexing, and barcode blocking, upstream of SeqCap EZ Library target enrichment. This kit facilitates deep multiplexing for both exome target capture and DNA target capture. The NEXTFLEX® Rapid PreCapture Combo Kit is designed to prepare single read or paired-end libraries for DNA and exome target capture and Illumina® sequencing. This kit features Enhanced Adapter Ligation Technology, resulting in library preps with a larger number of unique sequencing reads. The NEXTFLEX® Rapid Pre-Capture Combo Kit is compatible with Beckman Biomek® FX and Biomek® FXP Laboratory Automation Workstations. 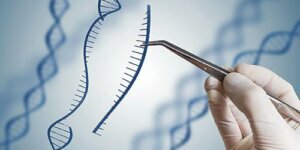 A program is currently being validated for use with the Sciclone® NGS, Sciclone® NGSx and Sciclone® G3 workstations. For more information contact Bioo.NGS@perkinelmer.com. The NEXTFLEX® DNA Barcodes and NEXTFLEX® DNA Barcode Blockers for SeqCap® are included in the NEXTFLEX® Rapid Pre-Capture Combo Kit and are also available separately. 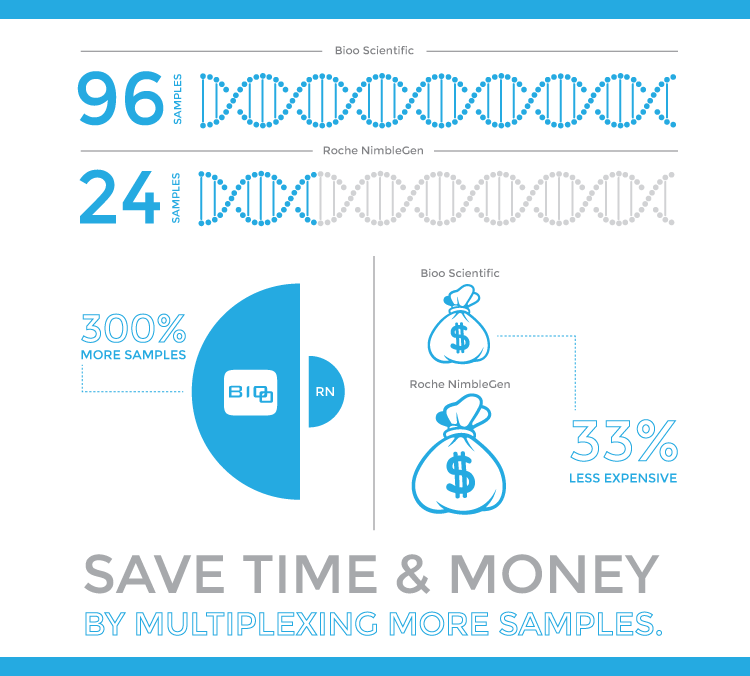 Our white paper written in conjunction with Roche®, An Integrated Solution to Simplify Library Preparation and Multiplexing for NimbleGen® Sequence Capture, demonstrates the efficacy of this kit when used with the NimbleGen® SeqCap® EZ Library system for library prep in preparation for Illumina® sequencing. The PCR amplification step in library preparation introduces biases including uneven coverage of regions with extreme base composition, increased numbers of duplicate fragments, decreased mapping quality and poor variant calling. In our white paper, Achieving High Coverage and Yield from GC and AT Rich Genomes, we show that the NEXTFLEX® PCR polymerase contains a highly optimized and robust enzyme that exhibits minimal GC bias and produces uniform coverage of difficult to sequence genomes. 10 ng – 1 µg fragmented genomic DNA in up to 32 µL nuclease-free water. Suren, H., et al. (2016) Exome capture from the spruce and pine giga-genomes. Molecular Ecology Resources Mol Ecol Resour. doi:10.1111/1755-0998.12570. The NEXTFLEX® Rapid Pre-Capture Combo Kit contains DNA library preparation reagents to prepare 48, 96 or 192 genomic DNA or exome libraries for SeqCap® EZ target capture and downstream Illumina® sequencing. The shelf life of all reagents is 12 months when stored properly at -20°C. This kit is shipped on dry ice.